Skip forward a few months and our team had dwindled right down for plenty of very valid reasons. 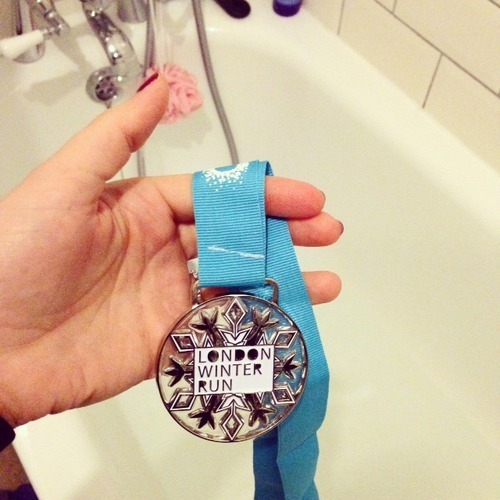 However, despite an awful race prep and freezing cold weather, this race was momentous for me and here’s why…. There was no cardio training to be seen in the month leading up to the race. In fact, my last run had been a slow 4k on New Year’s Eve in Nice that felt really rather tough. I’ve been doing lots of strength training and because I’m bulking I’ve not been using calories up on cardio. So while I’m definitely stronger I had serious doubts as to my cardio fitness which has never been a strong point of mine. 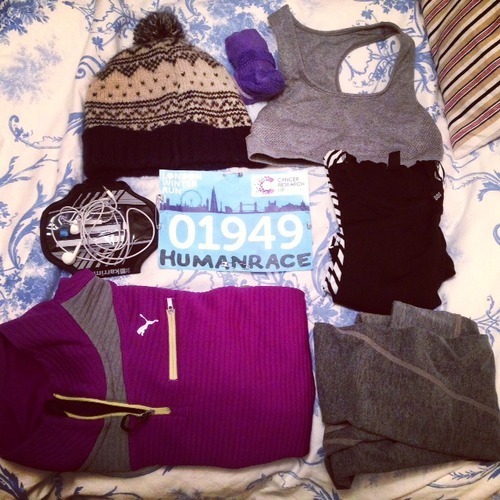 I’d spent all day before the race in bed with a migraine so the immediate prep was going really well. Not. I managed to get some sleep the night before, after cramming in some rice and woke up feeling quite fresh which was a nice surprise. The morning was grey and cold, just right for running… We got down to the welcome area nice and early and I warmed up outside Downing Street before I felt remotely comfortable taking off my coat to leave with Simon. The start line was a little bit chaotic as although we’d all been given wave times there didn’t seem to be any checking or order to how people were starting. Everyone was crammed into the start area and they were just letting 2,500 people go in each wave. 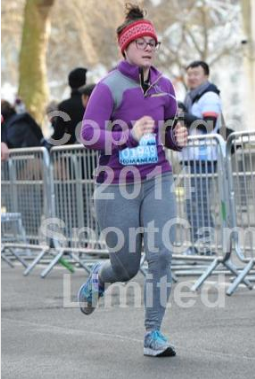 It meant that I ended up doing the warm-up 3 times before I even got to the start line! Anyway, off I went feeling pretty sceptical about how it was going to go. However, I surprised myself by feeling really quite comfortable all the way up until 5k. At that point though the problems hit. My hip flexors tightened up first, followed by my back and finally my left ankle. By the time i hit 8km it had become a mental battle. I didn’t even notice the fake snow zones or cow bells along the route although I do remember being a little underwhelmed by the novelty of the race. 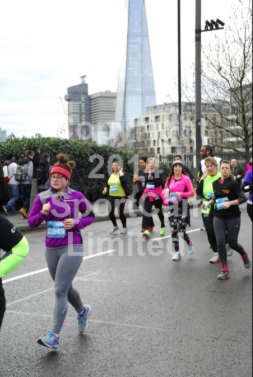 Just being able to run on closed roads along the Thames was enough of a novelty for me. I could hear my normal pace running away from me through my headphones so I just concentrated on putting one foot in front of the other and ticking off the ½ km markers. 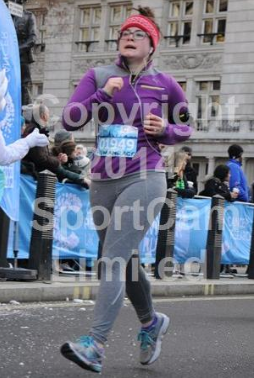 This was one race that I was going to finish running, whether my muscles wanted to or not. With 200m to go, I normally step up a gear and go for a big finish but this has to be the slowest sprint finish I’ve ever done. But I did it. I proved to myself that not only can my base fitness carry me through a 10k without walking but I can also run by myself and self-motivate. It was a good feeling to cross that finish line and hold my head high. Now that I’ve got the bug back, I’m itching to sign up to EVERYTHING. But while I fight the urge, I’ve got a sprint triathlon in May to get training for so watch this space for training updates.